The ratio of wine consumption between India and France is estimated at a staggering one to 8,000. That means for every glass poured in Mumbai, Paris downs around 130 cases. Call it a tale of moderates versus lushes. Obviously, wine’s footing in India is relatively insignificant. Expensive bottles are woven into its unsavory imperialistic history, enjoyed by and associated with the old colonial powers. Wine, at least symbolically, stains the tweed of every suit worn by British rulers for close to a century. Of course, most Indians prefer their masala chai and kosna. The planet has shrunk and the global wine scene has evolved, translating to more vineyards and imports on and to the subcontinent. Almost 80 labels call India home with more than half the production occurring in Nashik, an ancient holy city, set in the verdant northwest region of the country. Dubbed the “wine capital of India,” it has its own geographical indication for wine, where high-elevation estates benefit from significant diurnal shifts. Finding Indian wine stateside isn’t easy, but that will likely change as producers continue to increase and the growing middle class views opportunity in export. Sula Vineyards ranks as the largest and most well-known. Established in 1998, the winery introduced the nation to varieties like Chenin Blanc, Sauvignon Blanc and Zinfandel. There’s plenty of romance, too, albeit an exotic variety compared with stereotypical wine perspectives. Indian wine folklore stretches from vines planted on old mango groves exhibiting pronounced tropical fruit notes to tiger sightings, the ultimate vineyard pest. The lush, waterfall-filled topography of Nashik embodies the stuff of fairytales, compelling enough to secure that faraway trip you’ve repeatedly discussed. Sometimes, the food is so spectacular it can do the traveling for you. Faraway-inspired dishes can change perspectives on dining, broaden palates and introduce you to something new or unfamiliar. Much the same can be said about wine. And while wine remains a relatively insignificant facet of Indian culture, Americans are increasingly riffing off the expansive genre’s vibrant flavors, considering where and how the contemporary wine scene might complement it. Somms and wine directors have traditionally overlooked the culinary style, perhaps intimidated by such robust and specific flavor profiles. That said, the best pairing probably still waits to be discovered. MacLarty turns to lower-alcohol wines in matching spicier Indian dishes. Sparkling wine, Alsatian whites, German Riesling, Oregon Pinot Noir and lighter, less-oaky reds all jump to his mind. The Bollywood Theater menu features what one might encounter walking the streets of Kolkata (formerly Calcutta) or Surat. There, hawkers turn out ready-to-eat bites from countless food stalls. The Kati Roll is Bollywood’s most popular item, a satisfying spin on cart cuisine. Meat or paneer is rolled in paratha flatbread with egg, pickled onion and green chutney. “I always recommend the Dahi Papri Chaat, which really sums up what we’re about,” he adds. “What seems like a simple dish has about 50 ingredients! We make all the parts in house, from two different chutneys, various crunchy items, the chaat masala, etc.” The chaat is topped with chickpeas and served with tamarind chutney. Churchgate Station, MacLarty’s newest venture, offers a change of pace. 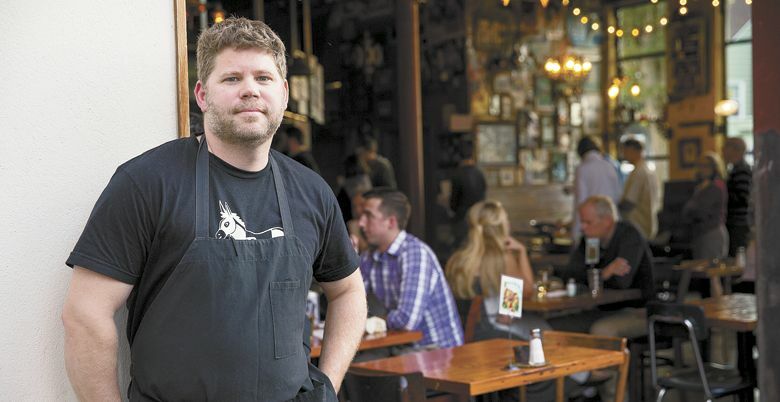 The restaurateur is working with wine duo Dana Frank (Bar Norman) and Scott Frank (Bow & Arrow Wines) to prepare a homier version of Indian food to Portland. Instead of street grub, the supper club focuses on courses, something MacLarty admits is atypical in India. The new restaurant is also broadening horizons from a wine perspective, especially with the consultation of the aforementioned husband-and-wife team. MacLarty dubs the current wine list as accessible but interesting. Currently, glass pours there include a Grüner Veltliner from cult Austrian producer Barbara Öhlzelt, Bow & Arrow’s Time Machine Blanc, Trollinger from Beurer in Germany and a Rhône Syrah. A small chain specializing in tasty Indian street food items like kati rolls and gobi Manchurian, an Indo-Chinese dish in which cauliflower florets are dipped in a batter and fried until crisp. A tiny strip mall outpost in the Bethany neighborhood serving plenty of authenticity and amazing kale pakora. Downtown establishment with intriguing appetizers like medhu vada (south Indian fritter) and satisfying curries and kebabs. A 25-year-old joint focused on regional Indian specialties, biryani and more, with an expansive lunch buffet. A new supper club-style Indian restaurant with creative wine offerings, the occasional brunch and cooking classes. By the bottle, the list is more expansive, dabbling in Dundee Hills Pinot Noir, sparkling from Piedmont, Bordeaux, Aussie Shiraz, whites from the Languedoc and others. Because the family-style meals, inspired by all regions of India, change often, so will the wine list. 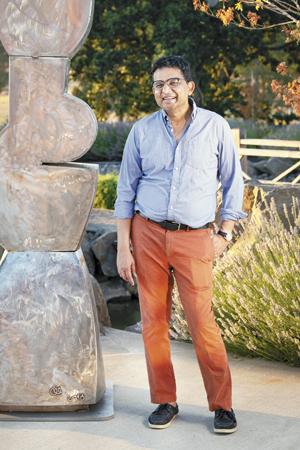 While chefs like MacLarty look to India for inspiration, winery owners like Saffron Fields’ Sanjeev Lahoti choose Oregon. Raised in Mumbai, Lahoti grew up with a family both dry and vegetarian. He tasted his first glass of wine on a trip to Napa in his 20s, the start of his enological journey. California introduced Lahoti to wine, but Oregon stole his heart. He was drawn to both its natural beauty along with the collaborative nature of the wine industry. After a 2003 visit with his wife — and fellow chemical engineer — Dr. Angela Summers, the two purchased a grass seed farm in Yamhill. Several years later, they planted a vineyard and hired Tony Rynders as winemaker. Today, Saffron Fields is known for its estate Pinot Noirs and Chardonnay. It’s also home to a stunning Japanese garden, assembled by famed landscape architect Hoichi Kurisu. The estate serves Indian fare at various events and celebrates Diwali, the Indian New Year, which usually occurs in October or November. “India will always be a strong part of me, and it appears throughout the entire experience at Saffron Fields,” Lahoti says. He cites Buddhist themes throughout the property, as well as the fireworks show the winery hosts on July 3rd, an Independence Day celebration on the surface but also a nod to India’s love of a wildly festive sky show. Lahoti recommends grocers like India Sweet & Spice and India Supermarket, both in Beaverton, as fine options for authentic home-style vegetarian food and desserts. He likes the food cart scene in Portland and Chennai Masala in Hillsboro for quality southern Indian food. “Carlton Market on Highway 47 serves chicken curry and butter chicken and other Indian snacks during the week,” Lahoti adds. Saffron holds an exotic place in our collective memory, and rightfully so. It’s one of Earth’s oldest edibles, found as pigment in renderings some 50,000 years old. It’s responsible for the vibrant color of the robes of Tibetan monks. Historically, the spice has been used as dye and for medicinal purposes with the vast majority — around 90 percent — originating from what is now defined as Iran. The flower is immediately recognizable, with its earthen, crimson-orange pistils practically climbing out from a lavender bed of petals. It’s hypnotic in its own right, never mind the opiate-like qualities it allegedly contains. With Indian fare, saffron is generally responsible for the yellow hue and earthy-sweet, turmeric-like flavor it adds to rice. It’s also known for its tremendous preciousness, fetching prices to the tune of $5,000 per pound. Like vanilla bean, black truffles or caviar, a little goes a long way and even a dusting can set you back a paycheck or two. With immense value comes counterfeit culture, as any seasoned restaurateur will attest. Experienced buyers are trained to look for radiant color, a bit of moisture, elasticity and the distinctive, trumpet shape of the threads. There are tales of dyed corn silk and even sewing thread used to play the part. 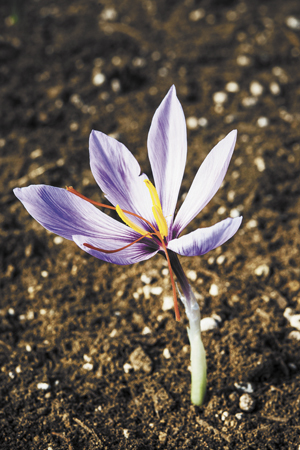 The U.S. produces a mere drop in the bucket of the estimated 300 tons of saffron harvested each year worldwide. Just a handful of domestic producers exist, most notably in Amish Pennsylvania and the occasional pocket of California. Long ago, it was traded like gold in and around Philadelphia, near what some briefly dubbed the “saffron belt” of Lancaster County. Tanya Golden is trying to expand the local saffron footprint with her venture: Golden Saffron Company. 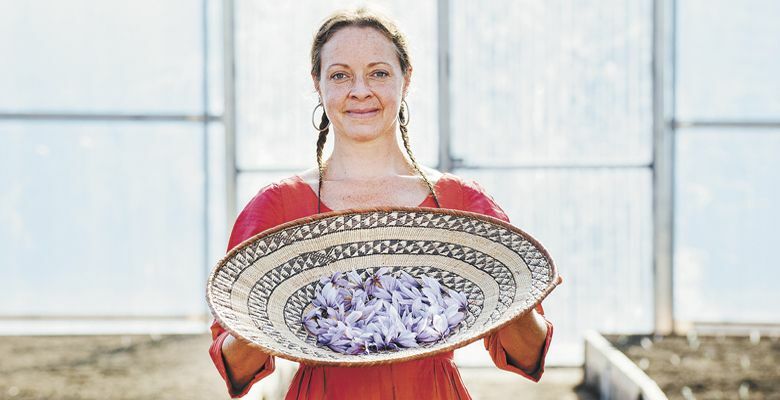 West of Portland in North Plains, Golden is harvesting threads from the Crocus sativus flower and transforming them into culinary delicacies, dyes and medicinal herbs. She brought in her first harvest last fall, only the second grower she knows of in the Pacific Northwest — Cyrus being the other, located in Eastern Washington. The farm-raised granddaughter of homesteaders, Golden grew up around orchards. She studied to be a chemical herbalist but struggled with the profit demands and plant stress involved in a natural medicine outfit. She then made raw chocolate truffles, a big hit in her community. “The chocolates melt at sweatshirt temperatures,” Golden recalls. After a friend brought a sample of saffron back from Israel, she found her new horticultural business plan. She applied for federal grants and after the customary delays, Golden was awarded some aid to set up shop. Being a plant indigenous to arid, desert-like terrain, saffron needs help to sprout in the damp and temperate Willamette Valley. Golden uses high tunnels to create a greenhouse effect on her plants. There’s plenty of manual labor involved, but she’s used to that. In fact, she claims saffron is the happiest plant she’s ever grown. She plans to install two additional high tunnels and cultivate more saffron. Crop yields generally increase year to year, with a perennial harvest about six to eight weeks every fall, according to Golden. Currently, her crop is spoken for, thanks to interest from chefs, ice cream makers, even cider houses. She does not have a web store at the moment and fields interest through word-of-mouth and email. For more information, please visit goldensaffronco.com. While going out is a good plan, wine lists can be somewhat limited, so checking corkage and packing your own bottle, or two, might be best. Alternatively, choose take-out and turn your home kitchen into a flavor-matching lab. No matter the route, consider these pairing suggestions marrying classic Indian dishes with less-expected wines. More intense versions of the wine do well against spicier samosas. 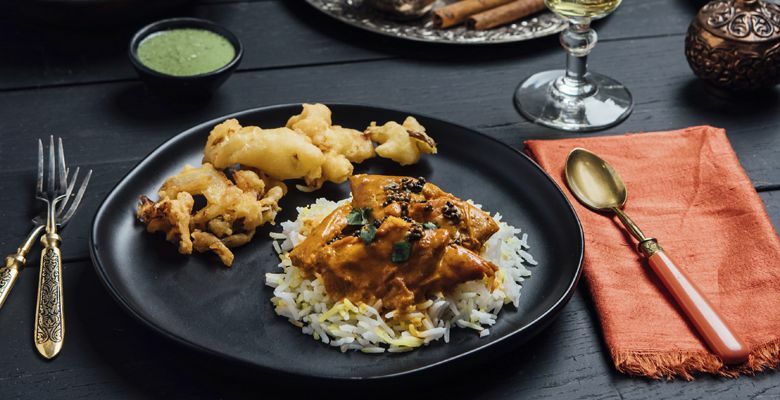 It’s a wine that sometimes offers cumin-like flavors on its own, so serving it with one of India’s most famous savory finger foods is hardly a stretch, despite how the contents of samosas can vary wildly. Bubbles are a safe bet alongside this vegetarian dish — ideally, something bone-dry that won’t outshine the spinach. Alternatively, a brisk Grüner Veltliner is up for the task, with its one-two punch of zest and green notes. Lamb was designed for this variety. 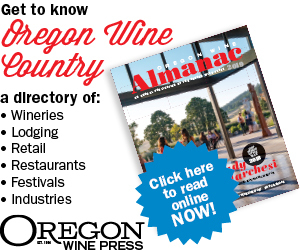 With the last few Oregon vintages so flexible, it’s hard to go wrong. The fruit plays off the meat and its signature gaminess, while any earthiness in the wine brings out comfort spices such as clove, cumin and even ginger. This wine won’t overpower the poultry, and its inherent freshness will accent the sharper, yogurt-y sides of the dish. Plus, there’s something about the variety’s ability to enhance slow-cooked meats, whether it’s roasted turkey or chicken in a tandoor oven. Typically clean and bright, the still-emerging Oregon style of Chardonnay also enlivens the nuttiness of the korma. A richer sauce may demand a bigger version with some oak influence. The drier style injects some acid into a fairly creamy dish, cutting deftly through common ingredients like coconut and chili pepper. Some residual sugar in the wine won’t hurt, especially if it’s an especially velvety batch. It’s tough to go wrong with a good Gewürztraminer as well.